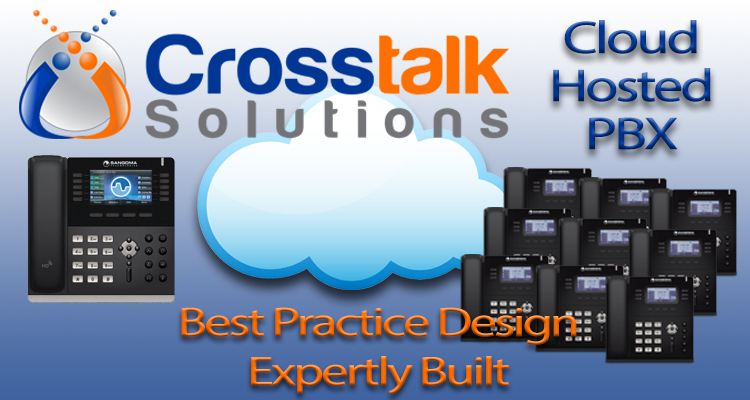 Crosstalk PBX systems take the guesswork out of your open source PBX deployment. All systems are based on FreePBX – the most stable and robust Asterisk-based distribution available. 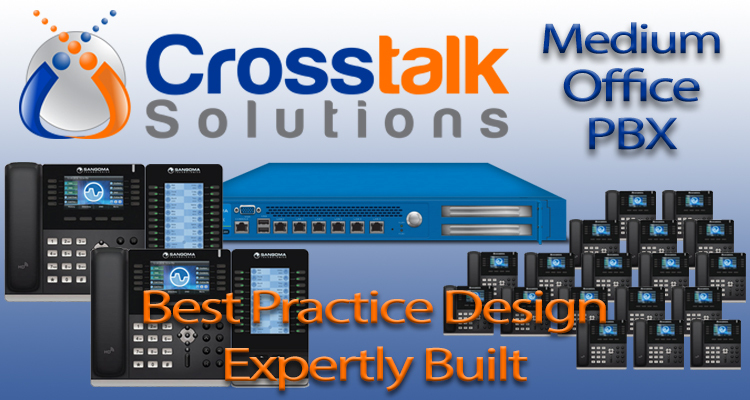 All Crosstalk PBX hardware has been tested to be 100% compatible, and each system is expertly built to your specifications based on a best practice design consultation. This PBX has been designed to meet the needs of a typical small office with a PBX server and 10 phones. With over 20 years IT experience, Crosstalk Solutions provides secure PBX solutions build on reliable hardware platforms. We know what works and what doesn’t, and will help guide you into the best possible phone system solution for your business. Our goal when transitioning customers to a new phone system is to make the process as smooth as possible with little disruption to your users. With our turnkey systems, we design, configure, test, and assist in the go-live process. We also include 30 days of post-deployment support and phone number porting assistance. 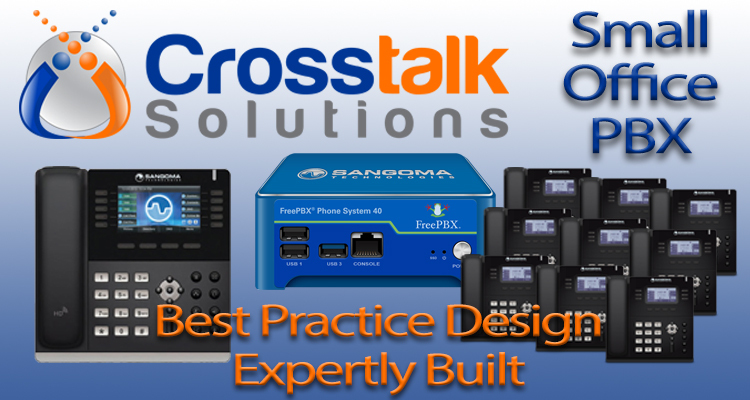 Crosstalk Solutions has configured literally hundreds of PBX systems for businesses of all types. We utilize this experience to provide all of our PBX customers with a Best Practice Design Session to ensure your business is making full use of the features of the phone system. "Chris's service exemplary. If you've seen his YouTube videos on FreePBX, do yourself a favor and order your Sangoma phones through him. His pricing is actually better than Amazon, and the shipment came fast, with email notifications with tracking info."